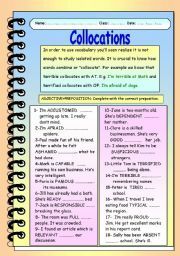 It´s a first introduction to collocations. 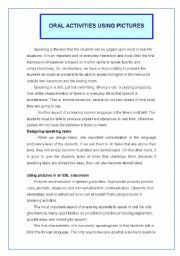 There´s a brief explanation and then sts have to complete senteces with the correct preposition. Key included. Iused PhilipR´s template to create this ws. Thank you Philip for your generosity! 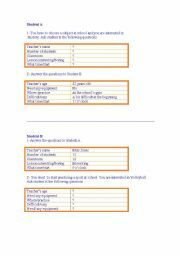 This worksheets(four pages) will help your students practise for the FCE OR CAE exam. 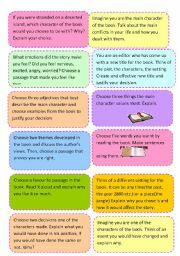 They have to transform adjectives, nouns, verbs or adjectives using different suffixes. 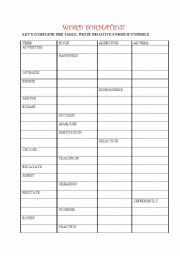 The last page has blank columns for your students to fill them in with new words they may encounter in the future. It´s a set of 24 speaking cards that are useful with any Literature book or story. I hope you like them!Thank you Zailda for your template! It´s an analysis with lots of acstivities on the movie Gladiator. 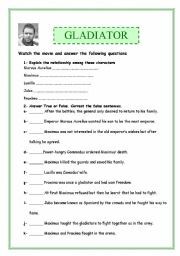 I´ve used it after working on the Romans(I´ve uploaded information on that topic too) and it worked really well since the students were able to recognize what they had already studied. Really motivating! It´s a board game to practise different structures(simple past, going to, present perfect, comparatives) and vocabulary(phrasal verbs, jobs). I used moravc´s template to make this game. Thank you moravc for your help! 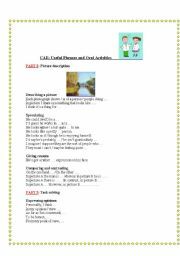 It´s an activity card to practice should/should´t and illnesses. 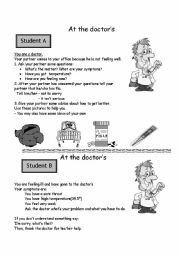 With more advanced students you can practice ought- might Hope you find it useful! This is specific practice for the KET exam of Cambridge university. 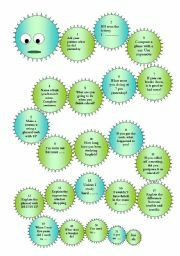 You can also use it for practising questions at an elementary level. This is useful practice for the speaking part of the F.C.E. There are lots of phrases you can teach your students and then some activity cards. 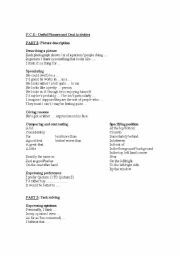 This worksheet gives plenty of speaking practice for the C.A.E. (Cambridge University)There are useful phrases and expressions for each part and then some activities.